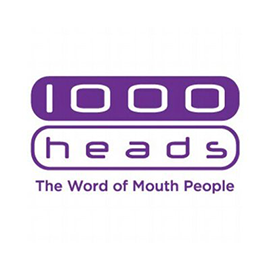 1000 heads are the Word of Mouth People. 1000 heads help brands to be more social; to talk to people, and to be talked about by people. 1000 heads help brands to get their stories to travel further and faster, building sustained relationships and advocacy as they go. 1000 heads have experience across multiple sectors including Telecommunications, Travel, Retail, Media, Finance, Automotive, and FMCG. 1000 heads is looking for a Mid-Weight Motion Designer in London, United Kingdom. If you meet the requirements below, you will be eligible to apply via Digital Marketing Community. Imagine a brief from issue through to artwork and implementation. Run storyboards and campaign look and feel visuals. Meticulous visuals and finished assets delivered on time, on brand and in a cost-effective manner. Keep up-to-date with social platforms and industry trends. Communicate with fellow team members, client service and community teams to deliver projects as a team. Minimum 4 years of design background. Design degree preferred but not essential. Effective agency experience is highly desirable. Expert knowledge of After Effects (motion graphics) is essential for this role. Intrapreneurial, with a team-player approach and a can-do attitude to go with it. Flexibility and adaptability to changing workloads and to understand the styles of a range of brands. Meticulous attention to detail and a hunger for problem-solving.